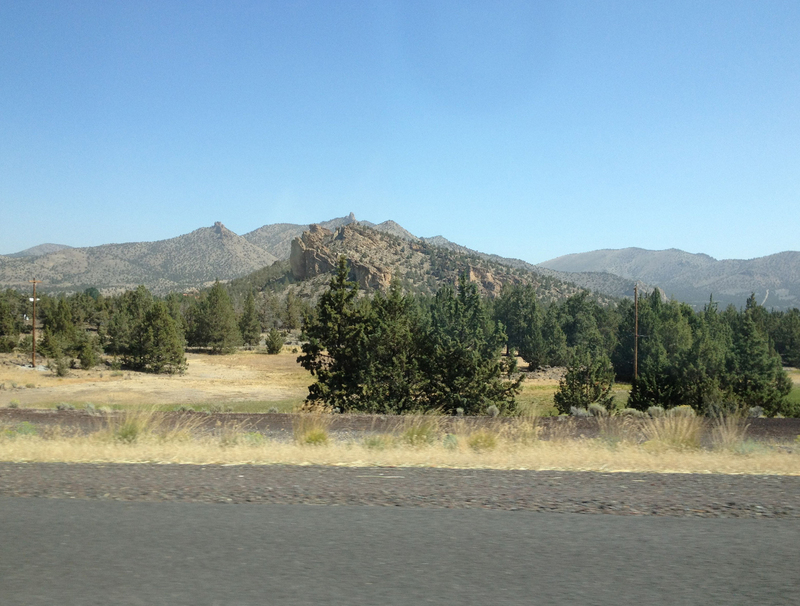 Travel was still easy as we continued north on highway 97 nearing Madras. 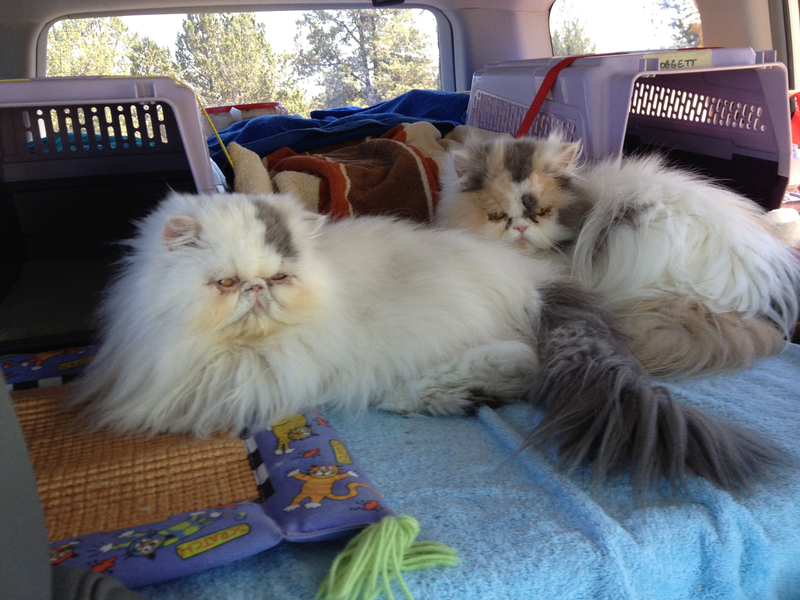 Mickey and Rosie enjoy some quiet time and a break from the road noise and motion when we stop for gas in Toppenish. 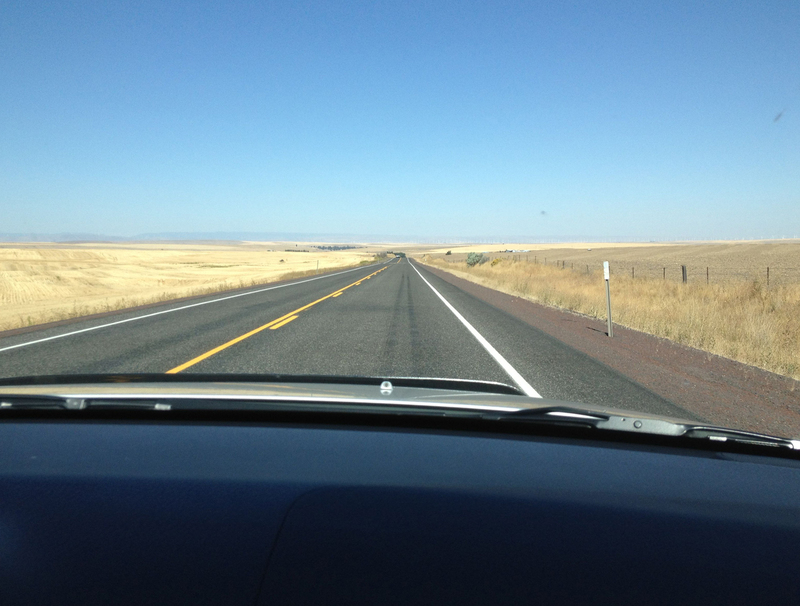 As we continue north on highway 97, we notice that things are pretty brown and dry this time of year in north Central Oregon. 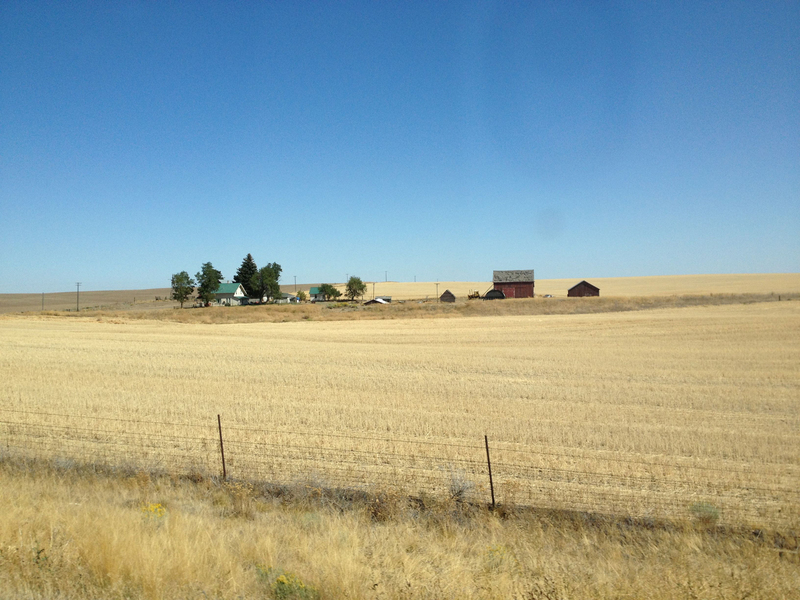 One of the homesteads along highway 97 in north Central Oregon. 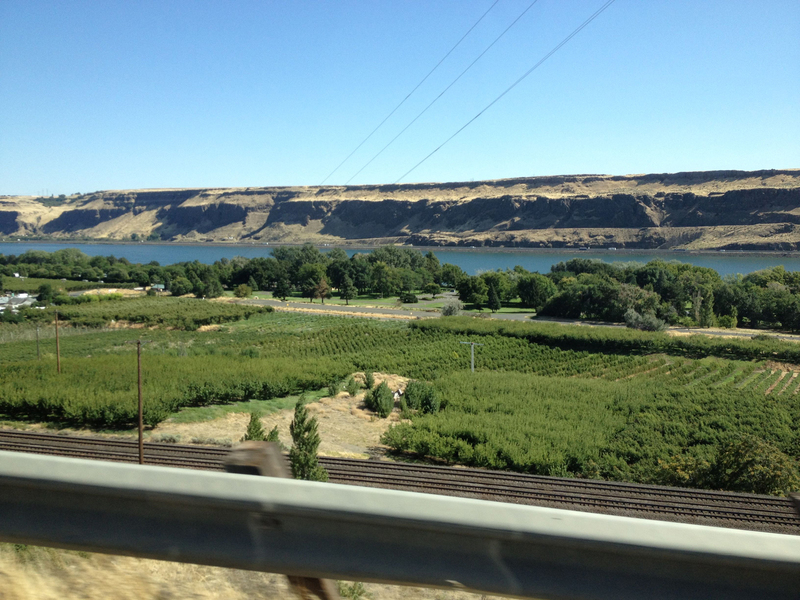 Things are a lot greener after we cross the Columbia River and enter Washington. This view of the Maryhill Winery grape fields is looking back across the river toward Oregon. 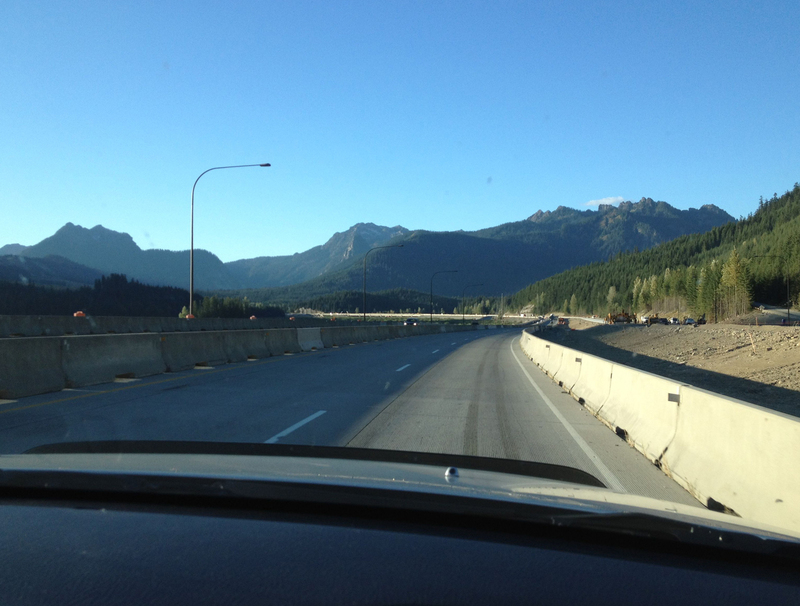 Heading west over Snoqualmie Pass, we drive through WSDOT’s major construction project on I-90. 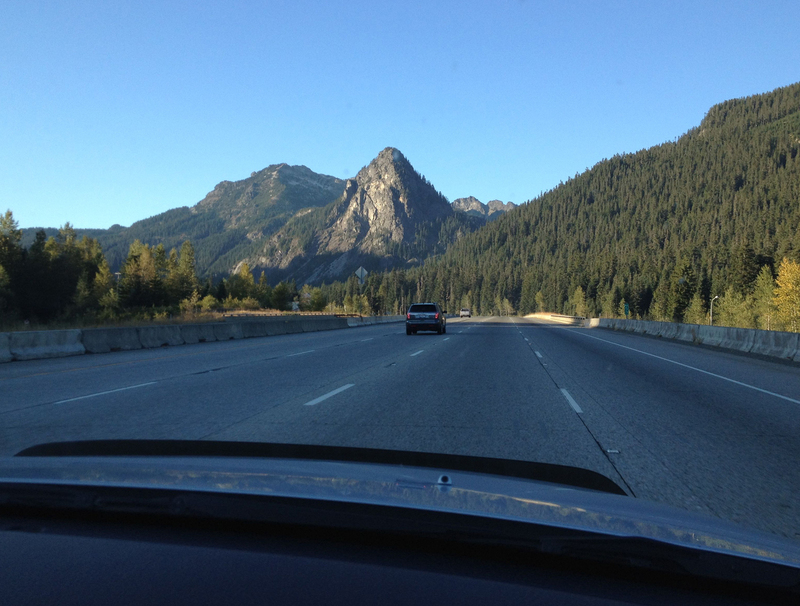 The afternoon shadows lengthen as we cross Snoqualmie Pass. This view is looking west as we start down. 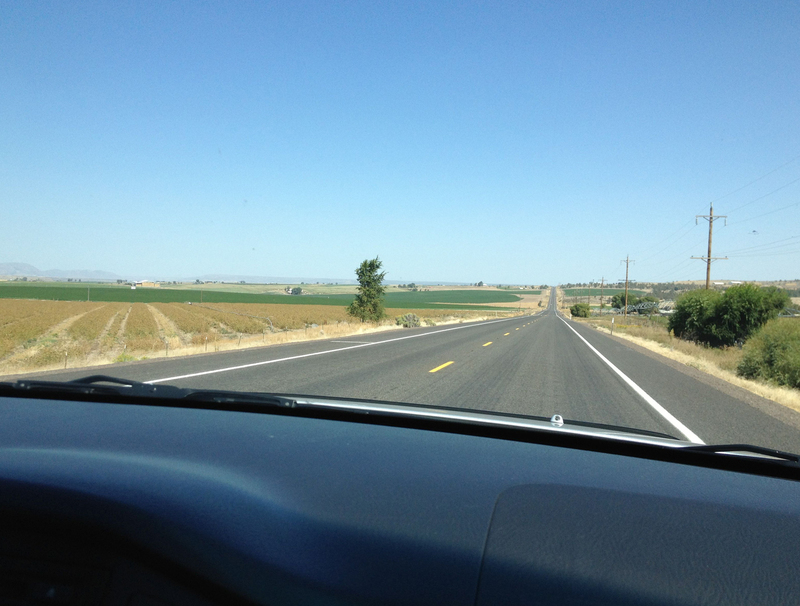 September days are getting shorter and it’s hard to get from Bend to Anacortes in daylight hours. The sun was down by the time we reached Anacortes. In the dark, we didn’t notice all the accumulated dirt and dust on the outside of our boat. We think there was more than usual due to a long stretch of rainless days in Western Washington…there had been no rain for the entire time we were gone! When we got up the next morning, the dirty boat was calling. We spent the better part of the day washing and cleaning. Now that the boat looks ship-shape again, we can get on with some small maintenance projects and provisioning before we head out for a short September cruise. We spent the better part of the our first day back washing and cleaning up Phoenix after she had been sitting at the dock while we were in Oregon. 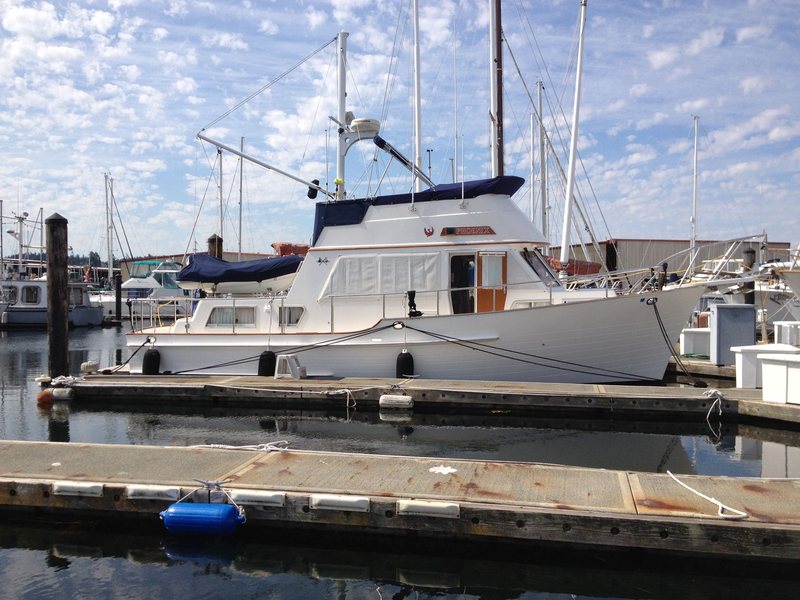 Now she looks ship-shape again and ready for some cruising! This entry was posted in Life Aboard, Maintenance, Travel and tagged Anacortes Marina, central oregon, columbia river gorge, kitties, maryhill winery, smith rock, snoqualmie pass, travel by Sailor Lady. Bookmark the permalink.